The year is 1969... a time when the youth of America is standing up to its elder rulers, when minorities are demanding their fair share of the American pie. A time when an eternal war fought for misbegotten motives and fueled by a continuous stream of some of the most outrageous lies ever fed to a people by its leadership over the previous eight years continues to gut an entire generation. A time when the old values, the old expectations, the old imperatives are knocked flat. Seen through the eyes of 21 year old college senior John Cassell, always out of money and soon to be out of college, it is a saga of coming of age at a time when the younger generation accepted very little of the old yardsticks and Thou-Shalt-Nots which traditionally helped that process along. 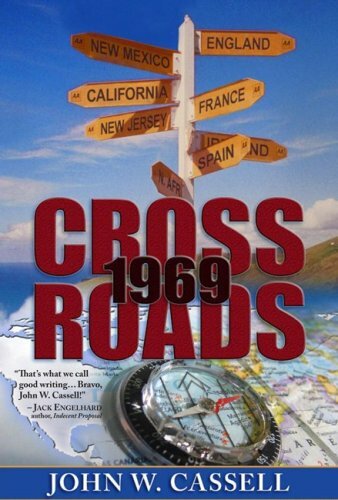 Based on a true story, and the stories of others, the book follows the young man into the year 1969 as he struggles with the decisions expected of him by elders and demanded of him by life.